This is the next post in my series on Relocating your Children Outside of Nevada. My last post discussed what happens during the Evidentiary Hearing of a move-away case. In this post I will discuss what happens once the trial has concluded and how to make sure you properly follow the new child custody order. If a parent is given permission to move a child outside of Nevada then the Family Court Judge is likely going to be concerned with how the noncustodial parent will remain a significant part of the child’s life. In the Court Order, it is likely that the Judge will spell out a concrete plan for both telephonic communication with the child and visitation. It is important for the custodial parent to follow the visitation order carefully in order to stay in compliance with the Court. If there is any question regarding who is to pay for travel expenses, phone plan expenses, or if the child is to be escorted during travel, it is important to clarify these issues with the Judge as soon as possible. The custodial parent must ensure that the child follows through with all scheduled phone calls and weekend visits; if there is any type of conflict it is important to work with the noncustodial parent to reach an alternative solution. The other factor a Judge will be concerned with following a child relocation is how well the parents will be able to communicate with one another. It will be up to the custodial parent to send progress reports, medical records, and special achievements to the other parent. Maintaining a cordial relationship following a contentious relocation trial will be important for both the child and the arrangement. 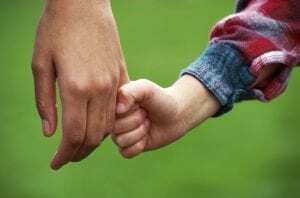 When a great deal of distance is in place between the child and other parent it is up to the custodial parent to relay any vital information that the noncustodial parent should know regarding their child. Failure to report significant events could be seen as disregarding the order to include the other parent in the child’s life. Once a relocation case has been decided, the results are final unless circumstances significantly change. That is why it is important for both parents to move on following the case and accept the decision that your Judge comes to. If you have completed a relocation trial and are having difficulty upholding part of the Court Order it is important to take steps to address the issue immediately. Contact my office if you have any questions.